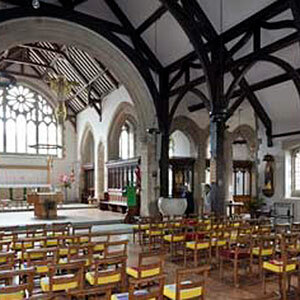 The website aims to provide a study of the architectural development of each Anglican parish church and as many subsidiary chapels as possible in Sussex (which has practically the same boundaries as the Diocese of Chichester). In the case of churches built in the last 200 years, there may be less architectural development to consider and entries may focus more on the effectiveness of the design itself. Wherever possible, there is also a record of the contents and fittings of a church, though much is anonymous. Such work is only included if it is in some way out of the ordinary. I started research in 1975 and have continued, with one longish gap, ever since. During this time, each church has been visited at least twice. There is a wide range of literature about many churches and the items I have used are noted under each church. 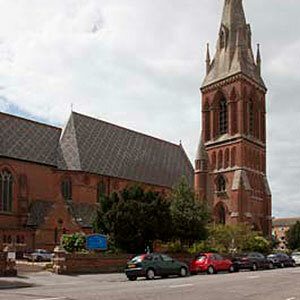 There are over 500 Anglican parish churches, ranging in date from, at the earliest, the Eighth Century to the present. The precise quantity depends on whether you include chapelries within a larger parish and churches no longer in use or demolished. The aim of this website is to include as many as possible, though demolished and disused churches may be covered in less detail. Most mediaeval churches show architectural features distinctive to the area and those built in the Nineteenth Century include some of the finest in the country, especially in the towns on the coast. Also included are notes on those who worked on the churches, as architects or designers of fittings and stained glass. 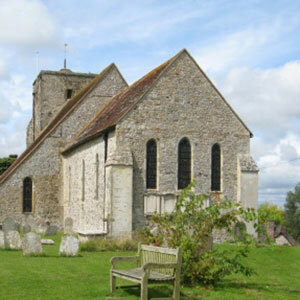 Though not many names are known earlier than about 1800, the aim has been to include all those who can be identified as having worked on one or more Sussex church. They can be accessed under either by using the ARCHITECTS AND ARTISTS links above or by the link provided from each entry for a church. The description of each church covers its architectural development and what can be found out about its fittings and stained glass – plate is excluded as it is hardly ever on display; so are organs and bells, unless they have a direct bearing on the development of the church. Churches, mostly mediaeval, that have a complex development are preceded by brief summaries. Depending on what you need to know, these may be helpful. The notes on architects etc vary considerably in length. In the case of the very eminent, there may be little new to be said beyond a brief summary and a selection of the available literature, whilst others have resisted every effort to find out about them; curiously, recent ones are often hardest to find out about. Where possible, there is a brief summary of his or her career with particular attention paid to work in Sussex or to connections with the county, together with relevant sources of information. Some names are also mentioned even if they did not do anything in Sussex, but were associated with someone who did. There is, however, no separate entry for such people. Inevitably there are many technical terms and abbreviations and there is a GLOSSARY of the most commonly used, together with a list of ABBREVIATIONS. Many abbreviations apply to the sources used, which are included under each church or architect etc. Sources of more than purely local interest are listed in full in the BIBLIOGRAPHY. All these can be accessed from the buttons above. I have tried to cite the sources I have consulted. In addition to the bibliography, there is a note about SOURCES in the main menu and at the end of the entry on each church any articles about it are listed. Some of these are very old and unreliable, but the point cannot be made often enough that they contain many pieces of incidental information, e g the date of a restoration or an illustration. A project like this will never be complete. New information comes to light all the time, both about the past and new developments. Much will pass me by, so the plea is that if you know something of interest about a church that has been missed, do let me know. Equally, there will doubtless be errors. In either case or for any other reason, your contribution will be most gratefully received and, if incorporated, acknowledged in the text. Please send me any comments and suggestions you may have to info@sussexparishchurches.org and I will be able to attend to it without delay.